At this point yesterday, the road ahead seemed relatively clear. 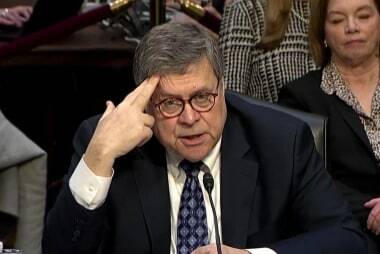 Attorney General Bill Barr's office would release a redacted version this morning of Special Counsel Robert Mueller's report, shedding new light on the Russia scandal, while the congressional fight to obtain a complete version of the document continued. But by early evening, the landscape grew considerably more complex. The attorney general announced plans, for example, for a morning press conference, to be held hours before the release of Mueller's findings. 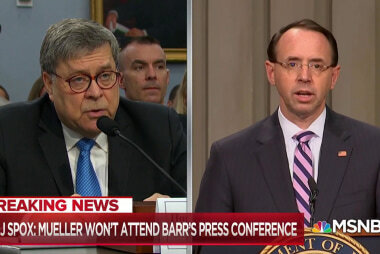 We also learned that neither the special counsel himself nor anyone from his team would be available -- just Barr and Deputy Attorney General Rod Rosenstein. Complicating matters, the Justice Department told a federal court yesterday that Barr intended to make a different version of the Mueller report -- with fewer redactions -- available to a select group of congressional lawmakers. There was, however, a catch: they wouldn't be able to take a copy with them, and the attorney general's office hadn't mentioned any of this to key members. The New York Times then took the controversy in an even more startling direction. So, the president faced accusations of criminal misconduct, and the Justice Department thought it'd be a good idea to give the president's team private, undisclosed briefings on the investigation into that alleged misconduct, letting them know about the findings before anyone else? On last night's show, Rachel spoke with Neal Katyal, the former acting U.S. solicitor general who wrote the Justice Department's regulations that define the office of the special counsel. 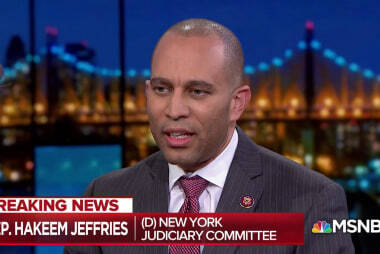 He explained that he's never heard of a situation in which the Justice Department provided a special briefing for the subject of an investigation, calling it a "breach of precedent" and a "breach of common sense." Katyal added that all of this "stinks to high heaven." * There's simply no reason for this: "The Trump administration is re-imposing limits on the amount of money Cuban Americans can send to relatives on the island and ordering new restrictions on U.S. citizen, nonfamily travel to Cuba, national security adviser John Bolton said Wednesday." * Bill Barr finds another way to make Trump happy: "The nation's top prosecutor broadened the Trump administration's authority to detain asylum seekers who cross the border illegally by declaring Tuesday that they are not entitled to bond hearings." * I guess we're supposed to be thankful for her restraint: "White House senior adviser Ivanka Trump says her father asked her if she was interested in taking the job of World Bank chief but she passed on it." * How's the whole "drain the swamp" thing going? "Former Interior Secretary Ryan Zinke has a new job: a more than $100,000-a-year post with a gold mining firm that's pursuing project approvals involving the federal agency that Zinke left fewer than four months ago." * Keep in mind, Dowd hasn't actually read the Mueller report: "John Dowd, President Donald Trump's former lawyer, is calling the Mueller report 'pure mischief' and 'not fair,' believing that it will cause undue problems for the president." * Family separations: "Attorneys for the American Civil Liberties Union said in a federal court filing Monday night that the Trump administration's one- to two-year timetable for reuniting potentially thousands of separated migrant families shows 'a callous disregard for these families and should be rejected.'" Three years ago, Senate Majority Leader Mitch McConnell (R-Ky.) did something few Americans in history can credibly claim: he stole a Supreme Court seat and got away with it. It's been described by many as the "heist of the century" for a reason: Americans will be dealing with the consequences of his actions for many years to come. This year, however, his actions are now the basis for the GOP leader's re-election pitch. McConnell, who'll seek a seventh term in Kentucky next year, kicked off his latest campaign this morning with a new video that emphasizes his role in taking a Supreme Court seat from a Democratic administration and delivering it to a republican one. The three-minute video released by McConnell's Senate campaign includes footage of Obama announcing his nomination of Garland in March 2016 and asking Senate Republicans to "give him a hearing and then an up-or-down vote." It then switches to audio of McConnell pledging to block consideration of Garland. "Let's let the American people decide: Who will Americans trust to nominate the next Supreme Court justice?" McConnell says. Even at the time, the talking point didn't make sense: the American people had elected Barack Obama, who still had nearly a year remaining in his term. After the 2016 election, the argument was even more flawed: the American people chose Hillary Clinton -- even if the electoral college didn't. But the details aren't nearly as important as watching McConnell brag about his abuse -- making it the centerpiece of his new re-election message -- as if it were somehow worthy of praise. As the investigation into the Russia scandal unfolded over the course of many months, plenty of White House officials did what Donald Trump refused to do: they spoke to investigators and answered their questions. In theory, so long as they were truthful, the aides' cooperation with the probe seems like an inherently good thing. But in practice, as NBC News reported yesterday, some White House staffers are concerned about possible cameos in the Mueller report, due to be released tomorrow morning. Some of the more than one dozen current and former White House officials who cooperated with special counsel Robert Mueller are worried that the version of his report expected to be made public on Thursday will expose them as the source of damaging information about President Donald Trump, according to multiple witnesses in the investigation. As one former White House official put it, in reference to White House officials, "They got asked questions and told the truth, and now they're worried the wrath will follow." How worried? 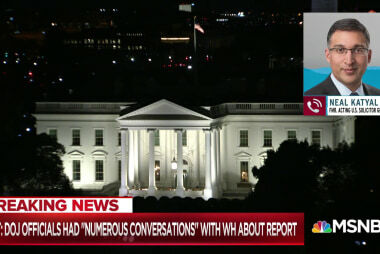 One person close to the White House told NBC News there is "breakdown-level anxiety" among some current and former staffers who cooperated with the investigation. It's important to emphasize that the president's own attorneys told aides they should cooperate with the special counsel's probe. As best as we can tell from the outside, those directions did not come with a wink and a nod -- staffers were encouraged to answer investigators' questions, and so they did. But these same aides are suddenly faced with the prospect of appearing in the Mueller report, alongside revelations that their volatile president may not appreciate. Indeed, the NBC News report is important, if for no other reason, because it offers a peek behind the curtain: if these staffers didn't have damaging perspectives to offer, they wouldn't be nervous right now. * The new national Monmouth poll shows Donald Trump's approval rating dipping from 44% last month to 40% now. While Gallup recently found a bump in presidential support following the release of Bill Barr's memo, other polling isn't yet pointing to a broad shift. * While Rep. Chris Collins (R-N.Y.) weighs a re-election bid despite being under criminal indictment, the Republican incumbent did not receive a campaign contribution from literally any individual in the first three months of 2019. Collins did, however, receive a couple of checks from political action committees. * In Connecticut's state House special election yesterday, Tammy Exum (D) won by a two-to-one margin, keeping a "blue" seat in Democratic hands. That said, at a national level, Democratic performance in special elections in 2019 isn't quite as strong as the results we saw in 2018. 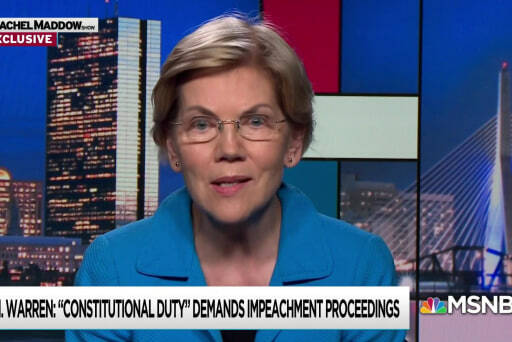 * As the Stop & Shop strike continues in the northeast, several Democratic presidential candidates have expressed their support for striking workers, including Sen. Elizabeth Warren (D-Mass. ), who brought them coffee and donuts over the weekend. * Dan Baer, who served as the Obama administration's Ambassador for the Organization for Security and Cooperation in Europe, launched a Democratic U.S. Senate campaign in Colorado this week, hoping to take on Sen. Cory Gardner (R). More recently, Baer served as head of his state's Department of Higher Education. * The latest Marquette Law School poll found Trump with a 46% approval rating in Wisconsin, a swing state he narrowly carried in 2016 with 47% of the vote. CNN published a striking piece on Friday, reporting that Donald Trump not only told Customs and Border Protection Commissioner Kevin McAleenan to block asylum-seekers, but also that the president offered to pardon him if McAleenan faced any legal consequences. Soon after, the New York Times published a related report, alleging that the president urged the CBP chief to close the border between the United States and Mexico. As we discussed on Friday, the Times' article went on to note that Trump raised the prospect of -- you guessed it -- a presidential pardon in the event of McAleenan facing legal jeopardy as a result of Trump's directive. Administration officials denied the accuracy of both of the reports. In the president's first two years in office, reports like these would raise questions that would receive no official follow-up. The political conditions are, however, quite a bit different now. Politico reported yesterday on new efforts from top Democrats on the House Judiciary Committee to get answers. Nadler, along with Reps. Zoe Lofgren (D-Calif.) and Steve Cohen (D-Tenn.), wrote the reported pardon "follows a troubling pattern of conduct." The lawmakers said the alleged conversation suggests Trump "views the pardon power as a political tool, or even worse, as an expedient mechanism for circumventing the law or avoiding the consequences of his own conduct." It's possible, of course, that the president made the comments but was trying to be funny. In fact, there's nothing to suggest McAleenan took Trump's alleged directives seriously: the CBP chief neither closed the border nor started blocking asylum-seekers from entering the United States. That said, given the number of instances in which we've seen reports about the president urging officials to break or ignore federal laws, coupled with Trump's willingness to abuse his pardon powers, it's hardly unreasonable for members of Congress to seek additional information. Earlier this year, Democrats on the House Oversight Committee took an interest in how the pharmaceutical industry sets prices on prescription medications, and Chairman Elijah Cummings (D-Md.) reached out to the major drug companies for information. That seemingly anodyne effort quickly ran into a little trouble. As regular readers know, Reps. Jim Jordan (R-Ohio) and Mark Meadows (R-N.C.) -- leaders of the right-wing House Freedom Caucus -- also reached out to Big Pharma and suggested that companies refuse to cooperate with the congressional inquiry. As it happens, Oversight Committee Democrats are also examining state-level voter-suppression tactics, which as TPM reported yesterday, has led some of the same Republicans to reach out to state election officials, questioning the legitimacy of their congressional colleagues' requests for information. In the letters, the Republican members of Congress don't explicitly tell those states not to comply with document requests sent last month by Democrats. Rather, the letters call into question any "valid legislative purpose" underlying the document requests and claim the inquiries raise "serious federalism concerns." 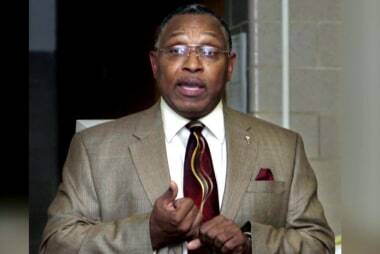 The letters also claim that the document requests were sent by Oversight Chairman Elijah Cummings (D-MD) without consultation with GOP committee members or the representatives from the states themselves. The Republican correspondence to state officials, signed by Jim Jordan and several of colleagues, said federal lawmakers believed it would be "prudent" to inform them of the concerns. "With a Democratic president, there was no allegation too small to investigate," Elijah Cummings said this week, "but now that Donald Trump is in the White House, there is apparently no scandal too big to ignore." For the most part, there are no significant political differences among vaccination opponents. As Politico reported last night, however, there's an increasingly obvious political difference when it comes to policymakers working on the issue. Democrats in six states -- Colorado, Arizona, New Jersey, Washington, New York and Maine -- have authored or co-sponsored bills to make it harder for parents to avoid vaccinating their school-age children, and mostly faced GOP opposition. Meanwhile in West Virginia and Mississippi, states with some of the nation's strictest vaccination laws, Republican lawmakers have introduced measures to expand vaccine exemptions, although it's not yet clear how much traction they have. In the not-too-distant past, policymakers working on stopping the spread of preventable infectious diseases wouldn't have been overly concerned with partisan political splits. Officials would've simply followed the science, consulted with experts, prioritized public health, and approved appropriate policies. But in 2019, it appears more than a few GOP officials have adopted their own unique posture on the issue. Donald Trump has repeatedly insisted in recent weeks that the Republican Party is well on its way to becoming the "party of health care." Perhaps that was premature. Last summer, Sen. Lindsey Graham (R-S.C.) not only expressed confidence in the outcome of the 2018 midterm elections, he also boasted about what he'd do if elevated to the chairmanship of the Senate Judiciary Committee. Near the top of the senator's list of priorities: the Hillary Clinton email probe. Graham wasn't kidding. Indeed, we were reminded yesterday that Graham is both focused on the Clinton email probe and recruiting some friends for his endeavor. A trio of top Republican senators are doubling down on their demand for the Justice Department to hand over information on the handling of the probe into Hillary Clinton's private email server. Sens. Lindsey Graham (R-S.C.), Ron Johnson (R-Wis.) and Chuck Grassley (R-Iowa) -- the chairmen of the Judiciary, Homeland Security and Finance committees, respectively -- sent a letter Tuesday to Attorney General William Barr arguing that now that special counsel Robert Mueller's probe has wrapped up, the department should hand over the requested documents. It's possible the GOP senators have forgotten this pesky detail, but the Justice Department inspector general's office already examined the probe into Hillary Clinton's private email server and it discredited the conspiracy theories. As the New York Times' David Leonhardt explained last year, "Federal investigators and prosecutors did not give preferential treatment to Clinton. They pursued the case on the merits. 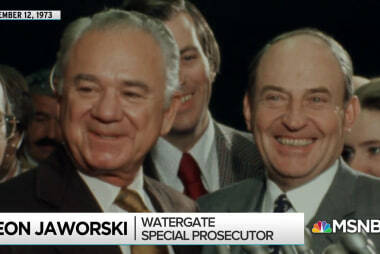 They were guided by, as the inspector general's report puts it, 'the prosecutor's assessment of the facts, the law, and past Department practice.'" There was no pro-Clinton bias. 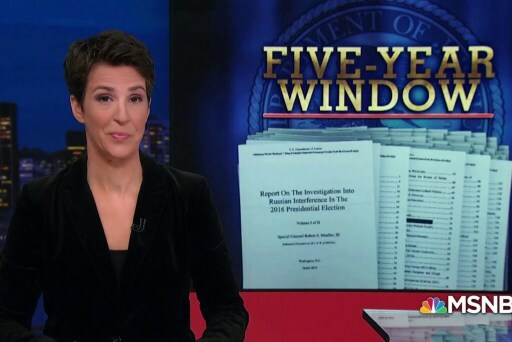 As Rachel explained on the show 10 months ago, the Justice Department's exhaustive review determined that the reason Clinton wasn't charged was because there simply wasn't reason to charge her. The investigation into her emails was handled properly. 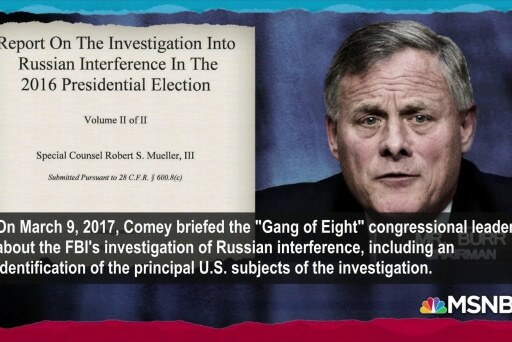 And yet, there are Graham, Johnson, and Grassley, on the eve of the Mueller report's release, turning their attention once more to partisan conspiracy theories surrounding Clinton and emails, raising questions that have already been answered. Is it any wonder Democratic senators are laughing at them?